Though rare, there are times when you may need to completely erase and restore your Xbox One, such as when you sell it or give it to a friend. There may also be times when you want to reset your console's operating system (OS) to its factory defaults for troubleshooting purposes, but you want to keep all of your games and apps installed. Xbox One provides a simple and easy way to perform both actions. Note If you can't perform the following procedure to restore the factory default settings because you have no picture on your screen or you can't access the Settings menu, you can also perform this action by using a file loaded onto a USB flash drive. 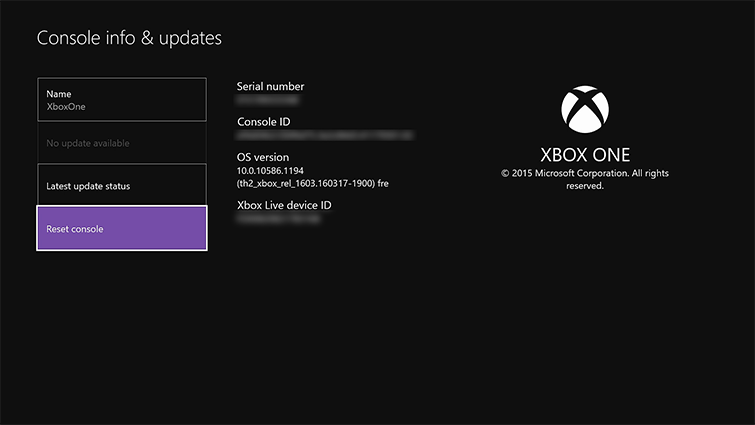 For access to the file and the instructions, see How to reset your Xbox One console to factory defaults using a USB flash drive. 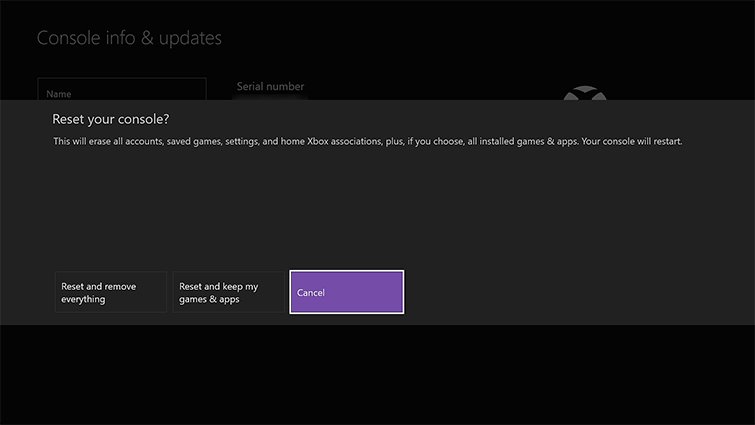 This option will delete your games and apps as well, so if possible, you should use the steps below.